The Department of English was pleased to welcome the prize-winning author Nancy Richler as our 2013-2014 writer-in-residence. Nancy Richler is the author of three highly celebrated novels, the most recent of which, The Imposter Bride (HarperCollins 2012), was shortlisted for the Scotiabank Giller Prize. Her earlier novels also made significant impacts upon the Canadian and international literary scenes. Richler’s first book, Throwaway Angels (Press Gang, 1996), focuses on the women who went missing in Vancouver’s Downtown East side. The tragedy of “Vancouver’s missing women” is now well known, but it didn’t become widely recognized as a serious problem until several years after Richler’s book was published.Richler gave voice to a number of otherwise underrepresented, if not outright silenced, individuals and social issues in Canada. The novel was also highly regarded for its aesthetic merits, particularly in the area of crime fiction. It was a finalist for the Arthur Ellis Award for Best First Crime Novel.Richler’s second book, Your Mouth is Lovely (HarperCollins / Ecco 2002), is a historical novel set in Russia between 1890 and 1912. It was awarded the 2003 Canadian Jewish Book Award for Fiction, as well as the 2004 Italian Adei Wizo award. Richler’s first international success, this book was favourably reviewed in such publications as The National Post, The New Yorker, and Quill and Quire. It was also translated into seven languages: French, Italian, German, Dutch, Portuguese, Spanish, and Hebrew.The Imposter Bridebuilds upon Richler’s previous achievement in the genre of historical fiction. Set in post-war Montreal, this fascinating novel is told partly from the perspective of Russian-born Lily Azertov, a Holocaust survivor who travels to Canada to marry a man she has never met only to be rejected by him, and partly from the perspective of her daughter Ruth, who seeks to find out the hidden history of her mother’s past. The Giller jury citation for this book calls The Imposter Bride a “wonderfully nuanced work of fiction by a master of the craft.” In addition to being shortlisted for the Giller, The Imposter Brideappeared in The Globe and Mail’s best books of the year list. It has already been translated into Dutch, and there are three more translations forthcoming. 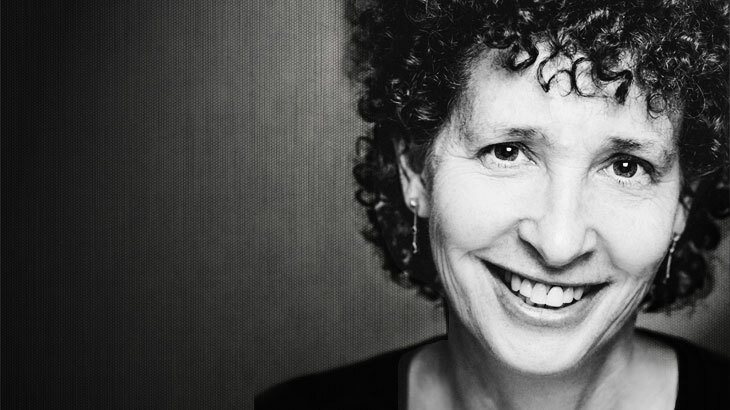 We are delighted to welcome Nancy Richler to our department as Writer-in-Residence for the Winter 2014 semester.